To borrow a line from America’s favorite musical, the incredible Hamilton (which, if you haven’t yet listened to, is more than worth it), “In New York you can be a new man.” That sentiment is splashed across history, with all kinds of fashion and bags being inspired from it. John Peters New York is not unique in its inspiration, but I do think it uses the inspiration in a unique way. Instead of splashing “I love New York” all over its products, JPNY backpacks are practical, incredibly useful and hardworking bags that can handle the work that needs to be done to “rise up” from the bottom, the essence of the New York dream. 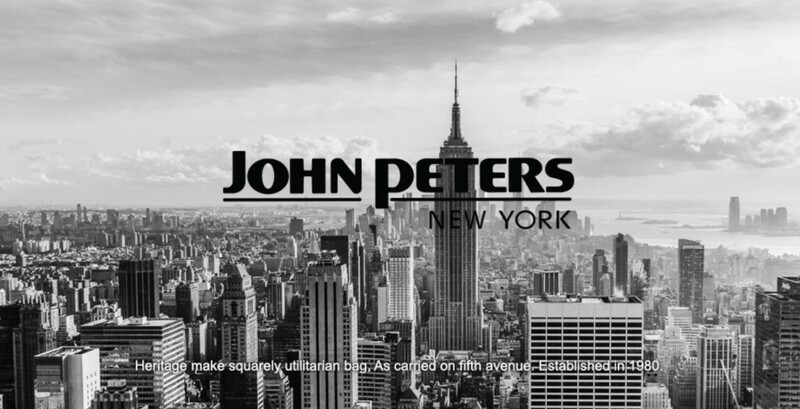 Take the John Peters New York Big Apple backpack (link). This large-size, multiple compartment pack is also compact and efficient, with space for a laptop, books, papers, cameras, or whatever else you need, plus outside pockets with room for smaller items and valuables. Like all of John Peters New York backpacks, the Big Apple is not enormous, but it makes every bit of space count. It is a great student backpack as you can carry it the full day without injuring your back or shoulders, and there’s plenty of room for everything you need inside. But of course you don’t have to live in New York to love the John Peters New York Big Apple backpack. It ships internationally from www.johnpetersnewyork.com, so wherever you are, you can dream big dreams – just like Hamilton! Share the post "John Peters New York Big Apple Backpack"
Posted in Blog and tagged backpacks for college, backpacks for university, john peters backpacks, John Peters New York, john peters new york backpacks, school backpacks, student backpacks. Bookmark the permalink.